Time to compile a list of all the amazing recipes and ideas for this year’s Have a Healthy Holiday hostesses. A virtual potluck, if you will. 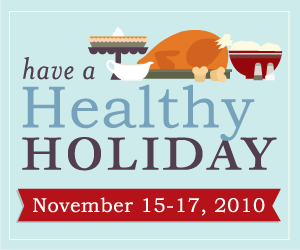 Do you have a delicious and healthy holiday recipe to share?! Please link it up! !